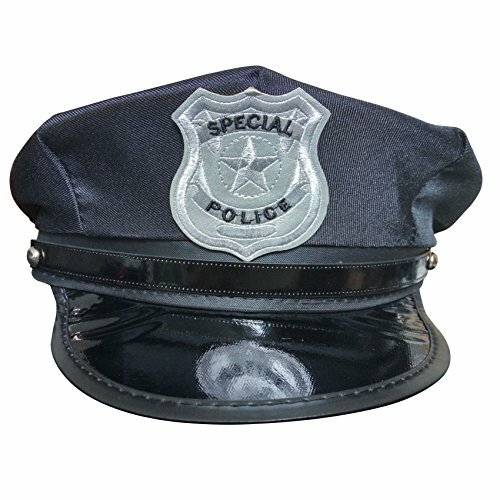 Costume Police Hat Deals - Buy Online. Halloween Store. Incredible selection of Halloween Costumes, Halloween Decorations and more! 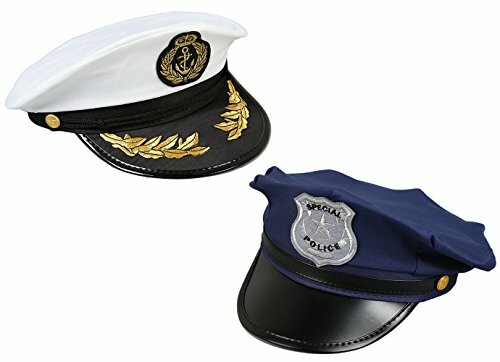 Be the fun enforcer this Halloween with this deluxe navy cop hat from Jacobson Hat Co.
Fun pretend play set for boys and girls alike who love a good time, this amazing costume set features all the essentials for imaginative play to the next level. 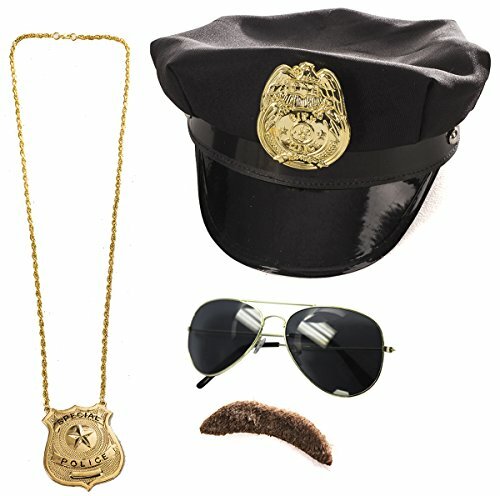 Set includes police hat, badge aviator glasses and mustache. 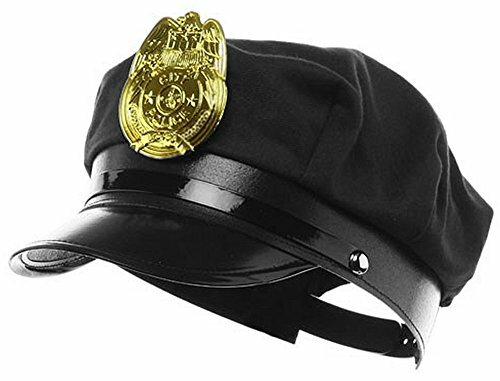 Have fun playing bad cop in this black cop hat with police badge costume accessory. Other accessories sold separately. This black police cap with a badge makes anyone look like a law enforcement hero. 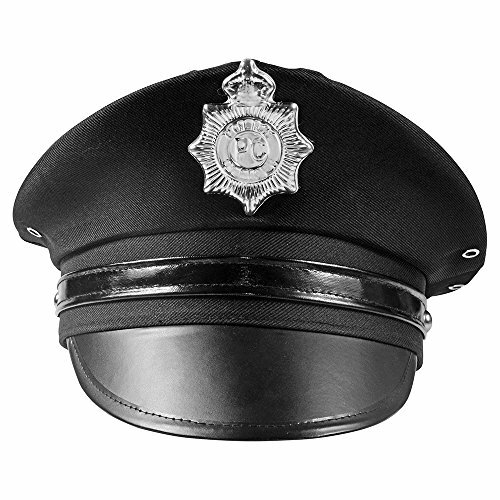 This cap will complete any police officer's uniform. 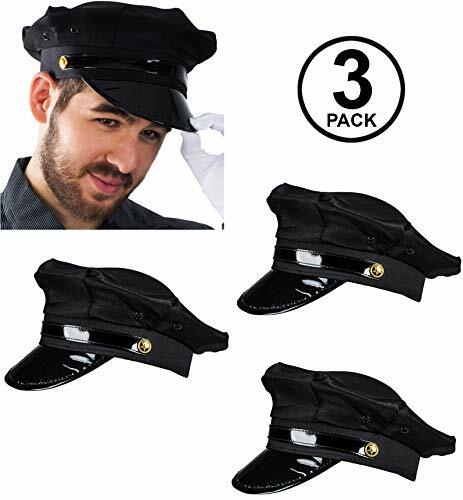 This police hat is also great for theater and school productions. The police hat comes in a traditional blue with black trimmings and a silver badge in the middle. The captains hat comes in traditional white with black and gold trimmings. Perfect accessories to compliment your costumes at a 2 for 1 deal.